Donate by clicking on this link: I Support the Farm Labor Organizing Committee! We Are the New Abolitionists! Join Our Movement! Always consider those who harvest and process your fruits, vegetables, tobacco, tea, wine, and coffee. 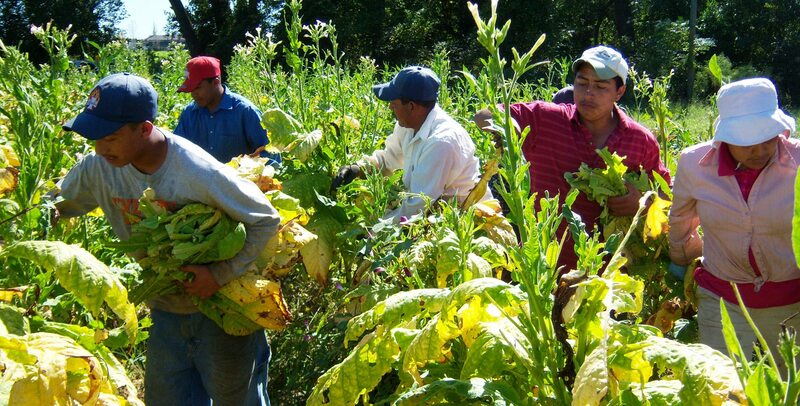 In the U.S. and throughout the world, agricultural workers have the least protections, work in slave-like conditions, experience wage theft, are sexually harassed and trafficked, and live in squalid housing. They suffer heat stroke, green tobacco sickness, and the fallout from pesticides that build up on the hands and clothes when they are forced to work in fields to soon after, or even during, spraying. We are the new abolitionists (ca. 1967) fighting alongside farm workers and beside them-the people who put food and drink on our tables and tobacco in our mouths. FLOC takes on some of the richest corporations in the world demanding human rights and justice for farm workers. To confront them we need money for everything from printing, to travel, to staff. With your help, we deliver justice to farm workers. If you have any questions about how your moneys is used, please call our headquarters in Toledo, OH at 419-243-3456.